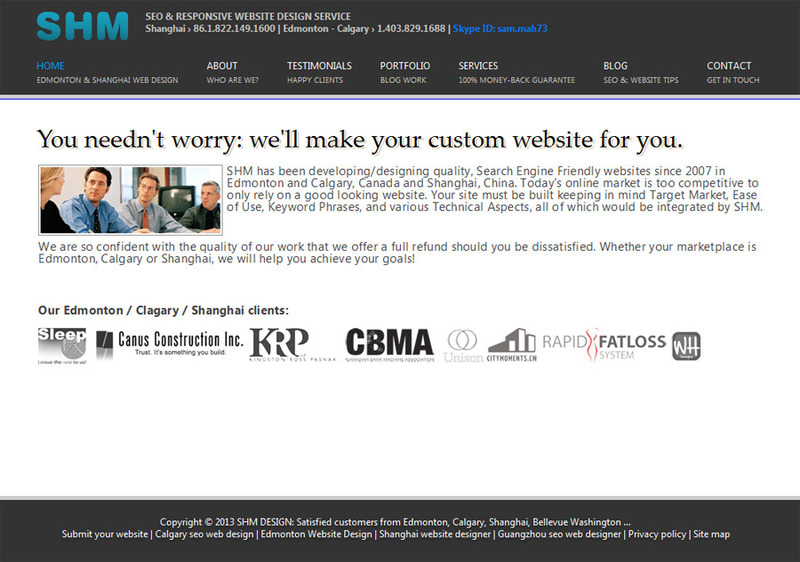 SHM has been developing/designing quality, Search Engine Friendly websites since 2007 in Edmonton and Calgary, Canada and Shanghai, China. Today's online market is too competitive to only rely on a good looking website. Your site must be built keeping in mind Target Market, Ease of Use, Keyword Phrases, and various Technical Aspects, all of which would be integrated by SHM. We are so confident with the quality of our work that we offer a full refund should you be dissatisfied. Whether your marketplace is Edmonton, Calgary or Shanghai, we will help you achieve your goals!